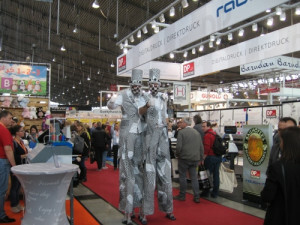 TV TecStyle Visions took place from 15-17 February in Stuttgart, Germany, as part of the Expo 4.0 show. Expo 4.0 had four trade shows under one roof: besides TV TecStyle Visions, the show also included WETEC, GiveADays and POS Masters. At this year’s edition, there were 566 exhibitors from 28 countries and 13,700 visitors from 41 countries in total. 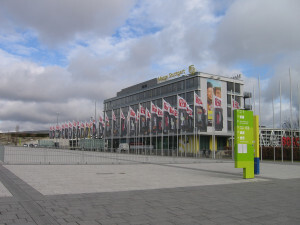 At TV TecStyle Visions show, the number of exhibitors showed an increase. Of the 270 exhibitors, 126 were from abroad (2016: 256 exhibitors and 101 from abroad). They presented their product innovations and new products in the areas of textile printing, embroidery, flock and laser technologies. There was also an increase in the number of exhibitors that offer promotional textiles. The number of visitors from abroad also showed an increase: 20% of the visitors to Stuttgart came from outside Germany (2016: 15%) from 41 countries (2016: 36). The majority of the visitors were from Austria, Switzerland, the Netherlands, Great Britain and Belgium. The visitors’ main areas of interest this year were transfer printing (49%), embroidery (48%), and ‘textiles and printing substrates’ (42%), followed by textile silkscreen printing and digital textile printing (40% and 38% respectively). 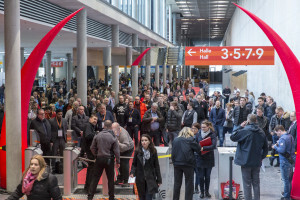 About one in three visitors stated that they were focused on obtaining information at TV TecStyle Visions show exclusively and that they did not visit any other trade fairs worldwide. 93% (2016: 89%) of the visitors to the show were involved in purchases and acquisitions for their companies. 87% of decision-makers stated that they intended to make investments, 94% of them within the next twelve months. The daily fashion shows, as well as the technical special show, which this time was about ‘Screen printing on functional materials’, drew the interest of numerous visitors. Many were also interested in the TVP Infopoint ‘fair●eco●bio’, the TV specialist forum and the presentation of the ‘Golden Shirt’. The next EXPO 4.0 will take place from 30 January till 1 February 2020 in Stuttgart. More information at: www.expo-4-0.com and www.tecstyle-visions.com. Watch also the show news in our special show file and take a look at the photo gallery.